Louis Drax is nine years old and has been prone to accidents and illnesses throughout his short life. The latest incident (plunging over a cliff on a family picnic) has left him in a coma with a mystery needing to be solved – how did the accident happen? His father has disappeared, his mother is suffering from shock and isn’t really giving a coherent account of the events, and of course Louis himself can’t tell. Or can he? I do like a really good psychological thriller, and I had read and enjoyed one of Liz Jensen’s other books, The Rapture, which I reviewed here. I spotted that it is being made into a film and that’s always a bit of a hook for me (if I already own the book that is). I really enjoyed this. I liked the fact that we saw some of the story from the first person perspective of Louis himself, although it took a few pages to realise that he was already in his coma. I also liked the growing supernatural element, though I’m not sure if that’s the right word (I’ve seen references to sixth sense instead). I did like the other voice in the story, that of the doctor Pascal Dannachet who is treating Louis and gets sucked in to the mystery to his eminent detriment. I don’t want to give away too much of the plot as it’s nice to see it develop in front of you but I will say that I guessed a couple of the plot points (and I never liked his mother). 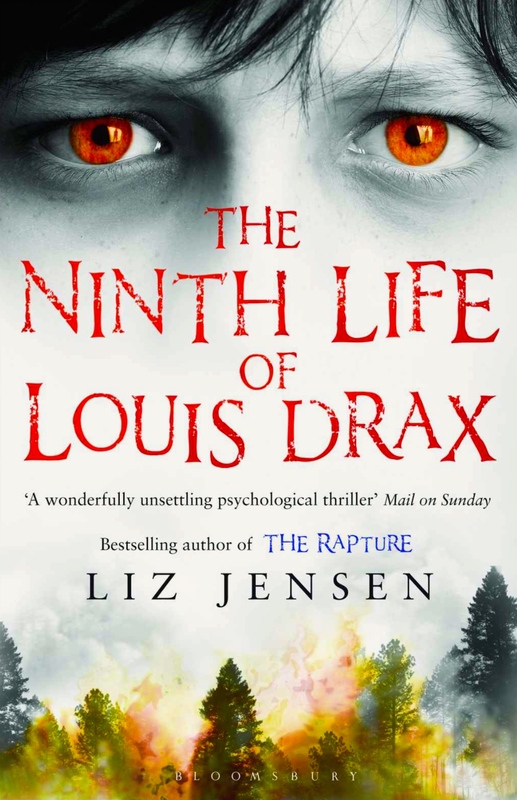 The Ninth Life of Louis Drax is pacily written and easy to read in the best way. I will be searching out more of her books. It’s very striking isn’t it? Way more interesting than the first cover that appears when I looked up the title at Goodreads!